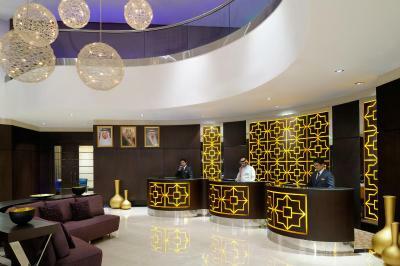 Lock in a great price for Courtyard Riyadh by Marriott Diplomatic Quarter – rated 8.2 by recent guests! The location. The room service employees. The quietness. Free breakfast should be calculated to be part of every stay. Small indoor pool is a plus. Sauna/ Jacuzi Spacious room with a good desk. Perfect for working. It was a business trip for an exam at the DQ, I've enjoyed my stay, The staff were friendly and helpful, Mr. Meshari at the reception has an amazing hospitality skills, my reservation included a breakfast buffet, which was satisfactory for my taste with good varieties, I would like to congratulate the management for a wonderful orchestration. Courtyard Riyadh by Marriott Diplomatic Quarter This rating is a reflection of how the property compares to the industry standard when it comes to price, facilities and services available. It's based on a self-evaluation by the property. Use this rating to help choose your stay! One of our top picks in Riyadh.Courtyard Riyadh Diplomatic Quarter is located in Al Hada District, 5 minutes by car from the diplomatic quarter and a 15-minute drive from Olaya business district. 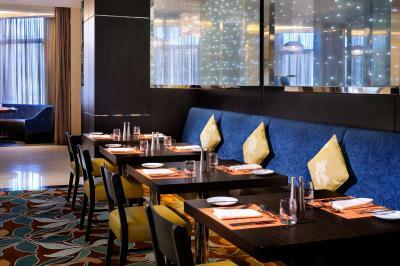 There are 8 meeting rooms with meeting facilities and Wi-Fi available upon request. The rooms and suites are air conditioned and include a flat-screen satellite TV, mini-bar, and tea/coffee maker. The bathroom has a shower and includes a slipper and free toiletries. An indoor swimming pool with a hot tub, sauna, and massage facilities are present to provide a relaxing and entertaining environment. 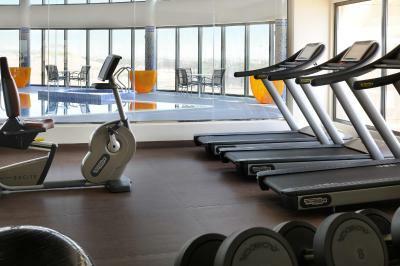 There is also a fitness center for those who like to work out. 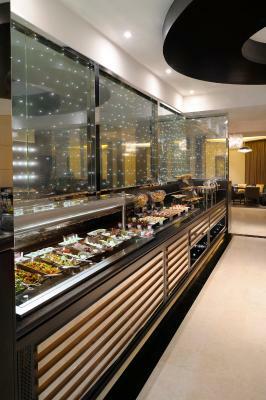 Olea Café Kitchen and Lounge serves breakfast buffets for guests. 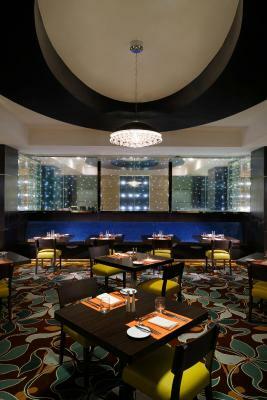 It also serves lunch and dinner, and room service is provided as well. The airport is about 31 mi away from Courtyard Riyadh Diplomatic Quarter. King Saud University is 6.8 mi away. Free private parking is available outside the hotel. This property also has one of the top-rated locations in Riyadh! Guests are happier about it compared to other properties in the area. 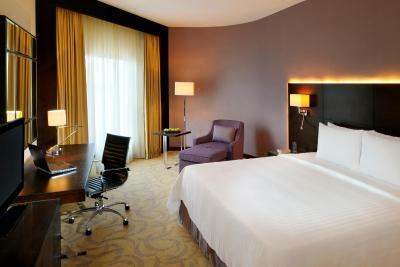 When would you like to stay at Courtyard Riyadh by Marriott Diplomatic Quarter? This air-conditioned room features a flat-screen TV, a minibar and an ironing board. Facilities include an in-room safe, a working desk and a chair. Complimentary newspaper, bottled water, tea and coffee-making facilities. Bathroom amenities include shower and bathtub, hairdryer and bidet. Maximum capacity is 3 and 1 roll-away bed is permitted for additional fee. This spacious, air-conditioned suite features a flat-screen TV, a minibar and an ironing board. Facilities include an in-room safe, a working desk and a chair. Complimentary newspaper, bottled water, tea and coffee-making facilities. Bathroom amenities include shower and bathtub, hairdryer and bidet. This spacious, air-conditioned suite offers a flat-screen TV, a mini-bar and an ironing board. Facilities include an in-room safe, a working desk and a chair. Complimentary newspaper, bottled water, tea and coffee, tea and coffee making facilities. Bathroom amenities include shower and bathtub, hair dryer and bidet. 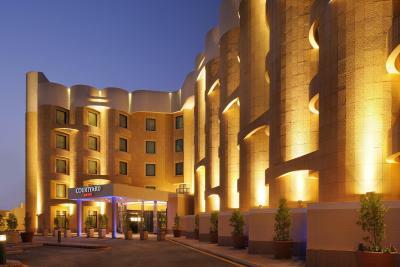 Courtyard Marriott Hotel was built around 2006 and is the first Courtyard to open in Riyadh. It is strategically located next to the Diplomatic Quarter. 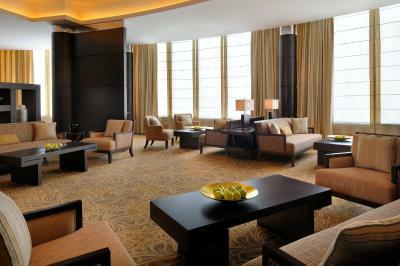 It boasts 286 guest rooms and suites, 1 restaurants/cafe and our Diplomat lounge. 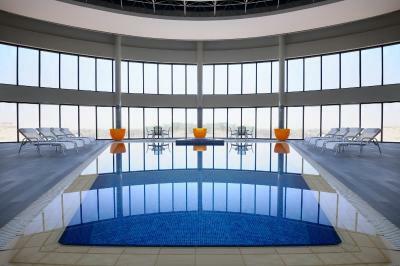 a modernized-lobby, an indoor swimming pool, Spa facility, and sports facilities. 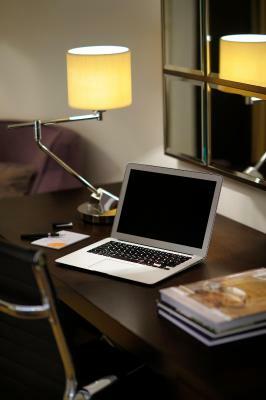 WiFi is available in the hotel rooms and costs SAR 60 per 24 hours. House Rules Courtyard Riyadh by Marriott Diplomatic Quarter takes special requests – add in the next step! Courtyard Riyadh by Marriott Diplomatic Quarter accepts these cards and reserves the right to temporarily hold an amount prior to arrival. Lack of free internet BUT register for the Marriot rewards program and I believe you CAN get free internet. The power outlets are still 2 pin BUT there are two three pin adaptors in the room. The sparse tea and coffee provided in the room. The prices of coffee in the lobby are a bit crazy (SAR 22 for a large latte) BUT the veranda attached is a nice place to sit if you need a smoke. The toiletries supplied were satisfactory. Check-in was quick and easy. The staff were excellent: Helpful, welcoming, polite and professional. The location relative to the DQ is excellent. The bed was comfy, the room was bigger than anticipated and nicely quiet. The breakfast buffet had a good selection, maybe not SAR 115 good, but as part of the rate it was fine. Room service dinner was pricey (to be expected) but very nice.